Needing at least a top-three finish in the Dubai World Championship to have any chance of overhauling the young German at the top of the money list and become European No 1, the US Open champion staggered back to his corner five shots adrift after carding a level par 72 to the US PGA champion’s impressive, five under par 67. It’s not over yet but McDowell knows that he’s on the ropes and must produce “a big weekend from here” if he is to prevent the “emotionless” 25-year old from Dusseldorf from becoming king of Europe. Buoyed by a lightning start that saw him birdie the second and then hole a towering seven-iron from 192 yards for an eagle two at the third, Kaymer finished the day alone in third place, just two shots adrift of Sweden’s Robert Karlsson (65) and one behind the impressive South Korean teenager Seung-Yul Noh (66). 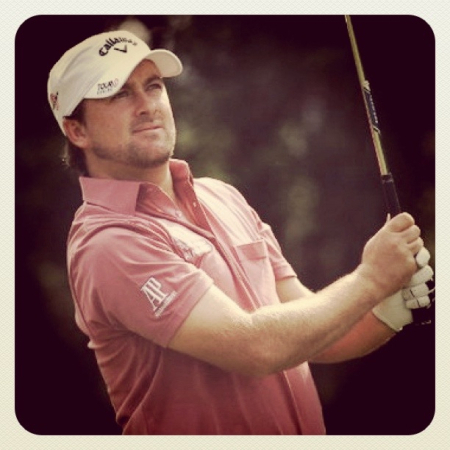 Struggling with a head cold, McDowell could have been forgiven for throwing in the towel when he followed a two at the short sixth with three-putt bogeys at the ninth, 11th and 12th to slip to two-over and seven strokes behind his Race to Dubai rival at that stage. But he refused to go down and after fighting back with birdies at the 13th and 15th, he insisted that all is not yet lost despite the fact that he is tied for 25th place. “Obviously it was a tough day because Martin gets out of the traps early, birdies two and holes the second shot on three,” McDowell said. “He literally left me in the dust out there. 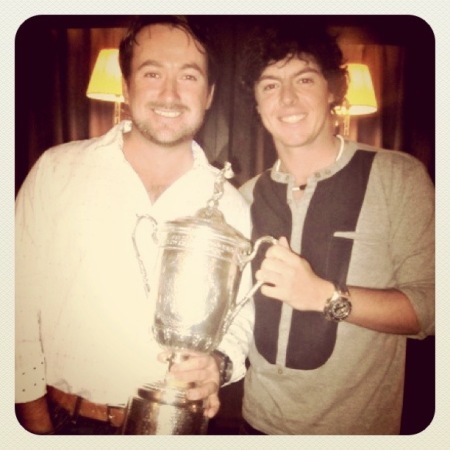 “I was kind of struggling to get things going a little bit and had a couple of careless three-putts around the turn. Things seemed to be getting away from me a little bit. McDowell sportingly high-fived Kaymer after his “awesome” eagle at the third but he confessed that he’s happy to get away from him after a tough day at the office. Kaymer was so focussed that he admitted that he exchanged no more than “two or three sentences” with his playing partner all day. Reflecting on Kaymer’s round, McDowell said: “It frustrated me a little bit playing with him today because he was playing so well. He made me feel like I was shooting 80 when I made a couple three-putts. Kaymer respects McDowell’s game and he knows the Ulsterman will not go down without a fight after watching the Irishman pick up a couple of late birdies to keep their battle barely alive. McDowell was massively impressed by the German, who hid his pre-round nerves well to card an eagle, four birdies and a solitary, three-putt bogey at the 245-yard fourth. 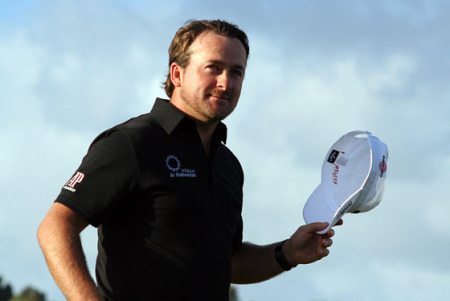 “He would be a hell of a poker player,” McDowell said of Kaymer’s cool. “He’s a pretty emotionless guy. He’s a cool customer and showed no sign of nerves or any emotions out there today…. I was very impressed with the way he played. McDowell has more rivals to worry about that Kaymer, however, and the 24 players ahead of him include the world No 1 and defending champion Westwood, who opened with a 69. It was a mixed day all round for the seven Irish contenders with Darren Clarke and Rory McIlroy the only members of the seven-strong green army to break par after one under 71s. Both were somewhat frustrated afterwards, however, with Clarke complaining that the slow pace of play did little to help his rhythm. McIlroy was three under after eight holes but got little going on the greens afte that and played the remainder in two over for his 71. 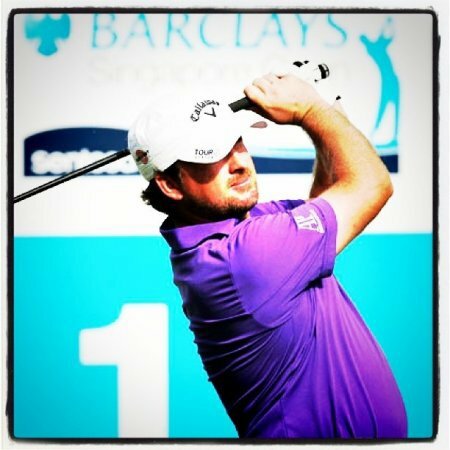 Gareth Maybin opened with a double bogey six but did well to shoot a one over 73 with Padraig Harrington and Damien McGrane posting two over 74s and Peter Lawrie a disappointing 76. 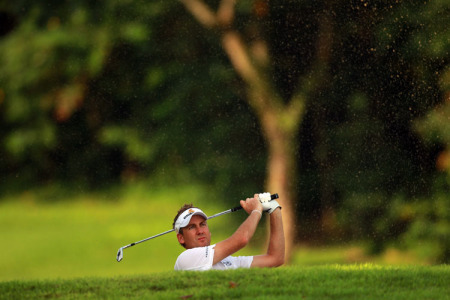 Harrington was one under through six but his round unravelled when he plugged his third in a bunker at the par-five seventh, failed to get out first time and followed a bogey there with further dropped shots at the eighth and ninth. What disgusted him more than his score was that he tapped in a one-inch putt with the back of his putter at the 15th. “I’ve never tapped-in a putt with the back of my putter in 14 years on tour,” he said. “I’m just disgusted I would be that lackadaisical. I missed a short putt on 15 and I just tapped it in one-handed.